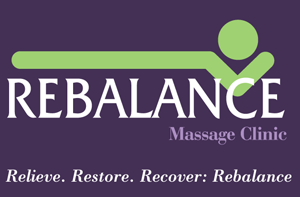 Rebalance Massage Clinic is excited to offer a brand new service to our clients. In addition to the excellent massages we provide, we now offer the AromaTouch Technique. This technique uses CPTG (Certified Pure Therapeutic Grade) essential oils by Doterra. Each batch of oil goes through rigorous testing to ensure it meets strict standards of quality. This is especially important since the potency of each oil is crucial to receiving the maximum therapeutic benefits. As you may remember from our previous post on essential oils, a number of studies are showing the beneficial effects of many different kinds of oils for multiple conditions including anxiety, agitation, nasal symptoms, sleep quality, and seasonal allergies. AromaTouch takes advantage of its wide range of over 24 unique plant species represented by its oils to offer you the broadest possible relief from your daily stressors. While it is mostly its own protocol, you can add it to the end of a massage session to provide your body with even more stimulation towards a healthful and stress-free status quo. AromaTouch is beneficial for just about everyone. Schedule your session and experience the amazing results of AromaTouch.